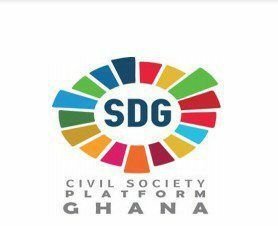 The Ghana Civil Society Organisations (CSOs) Platform on Sustainable Development Goals (SDGs) have condemned the Second Deputy Speaker of Parliament, Alban Sumana Bagbin, for saying that former President John Mahama’s decision to appoint a “blind man” and a “stammerer” as ministers in his administration was the cost the NDC’s defeat in the 2016 elections. A statement issued by the group and copied to Newsghana.com.gh on 24th August, 2018, said, “Our attention has been drawn to the comments made by Mr. Alban Sumana Kingsford Bagbin, the 2nd Deputy Speaker of Parliament and Member of Parliament for Nadowli-Kaleo, while addressing NDC party communicators in the Volta Region on 22 August 2018. The 2nd Deputy Speaker made statements which suggest that it was wrong for the Mahama government to have appointed a ‘blind’ man as Chieftaincy Minister because the Ghanaian culture does not allow one who is not ‘whole’ to be made a chief or queen, hence the so-called resistance by the chiefs. His comments were equally offensive to stammerers. “The Ghana CSOs Platform on SDGs considers the comments by the 2nd Deputy Speaker as discriminatory, divisive, retrogressive, unfortunate and promoting social exclusion. “The Platform finds it unbecoming of such a high-ranking public official, who is not only a senior member of parliament but also an aspiring presidential candidate of a major political party – the NDC, to make such disparaging comments about fellow citizens of this country merely because of their physical condition. “The Platform would like to draw the attention of the 2nd Deputy Speaker and Parliament, as a whole, [to the fact] that the Disability Act, Act 715, passed by Parliament in 2006, recognises the right to employment (whether political appointment or otherwise) for persons with disability and mandates government under Article 9 to assist in securing jobs for persons with disability. “Furthermore, Ghana is championing the Sustainable Development Goals (SDGs) which envision that: ‘No one is left behind’ in the country’s efforts to achieve socio-economic development. For the 2nd Deputy Speaker to suggest that appointment into certain public offices should be the preserve of able-bodied persons, goes to show his clear lack of knowledge on what inclusive growth and sustainable development entails. “The comments by the Deputy Speaker represent the many challenges that disabled persons go through in their strive for equal opportunities and social inclusion, which is contrary to the spirit and letter of the 1992 Constitution, Act 715 and the SDGs. “We would like to state categorically that the appointments of Dr. Henry Seidu Daanaa and Dr. Edward Omane Boamah by the former president could not have been a mistake but an audacious attempt to promote an inclusive society,” The statement noted. Previous articleWhy Is Ebony’s Impact Struggling?